This site contains a list of comic design patterns. Each pattern is described by a name, a description and examples. A print version for the cards can be found here (print double sided). 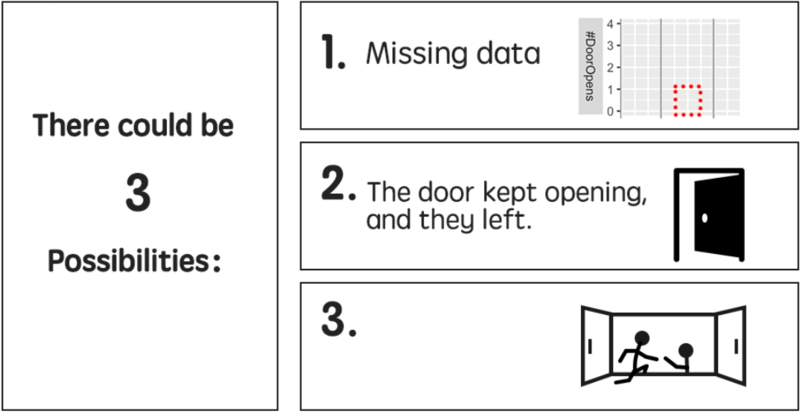 Design patterns and their printed cards are used to teach data comics in a workshop. 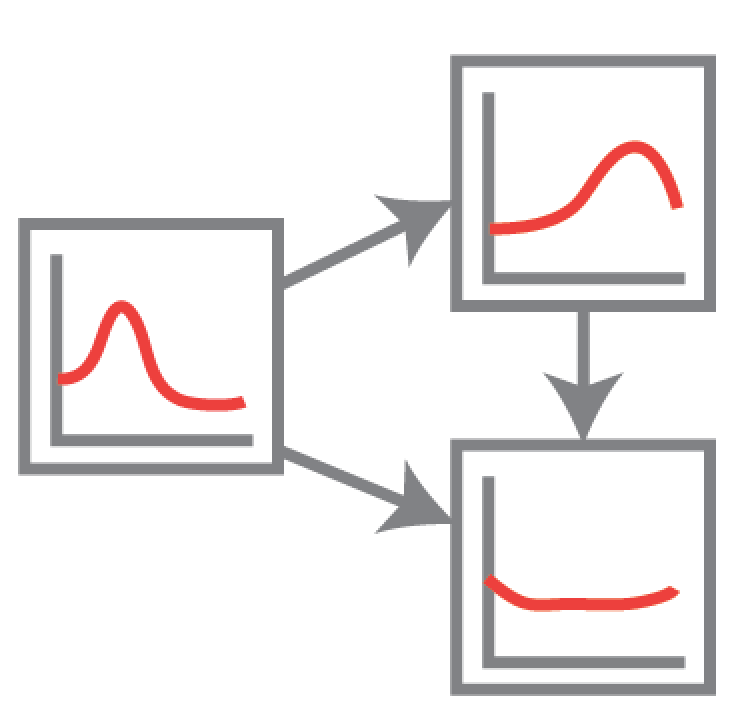 Definition: Multiple-explanations is especially for a visualization with multiple key points. 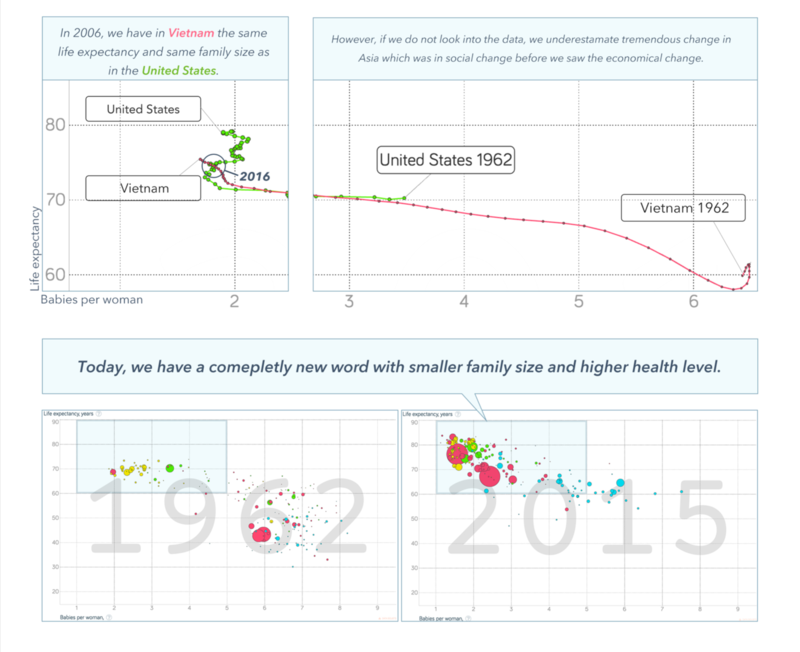 Provides several explanations on the same visualization. 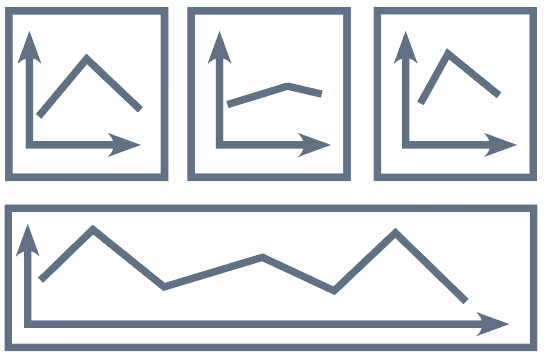 In this case, data in visualization is not changing, and the same visualization could be placed in several panels but the visualization in each panel can change emphasis. It can be used to introduce different key in one visualisation and to represent the overall relationship between different points. Definition: Exposé is a narrate pattern that aims to introduce the background and engage viewers at the beginning. It starts with a narrative illustration, motivating story and data. To start with narrative background rather than data is inclined to attract audiences. Definition: Flash back refers to a previous panel by repetition or a specific visual means (e.g. arrow). By pointing back, on one hand, it could uncover a temporal change, causality or invoke comparison. On the other hand, it emphasizes the key points mentioned above and strengthens the impression. 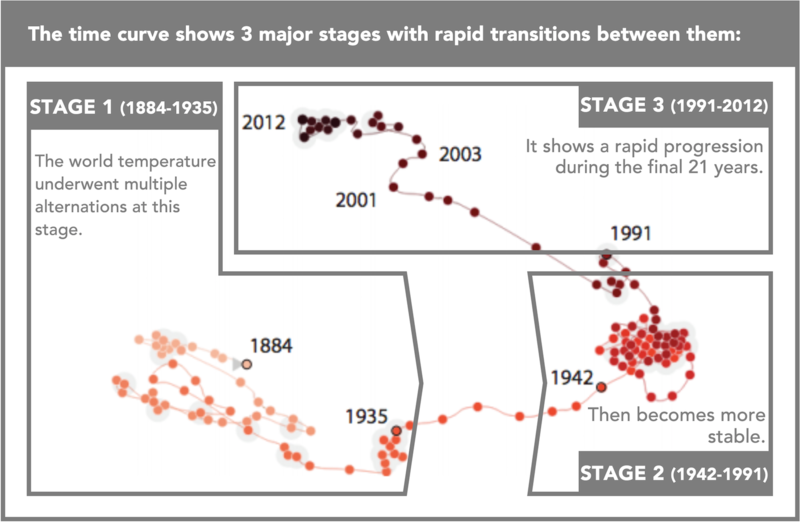 Definition: Temporal change shows transitions in time by changing the visualization over time. 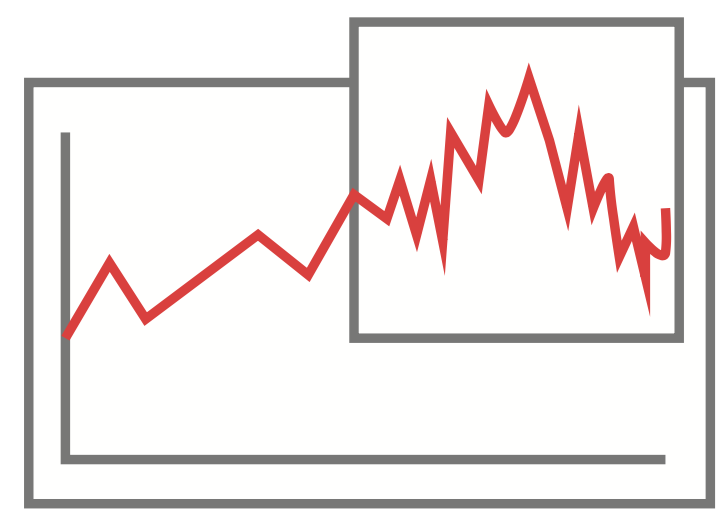 This pattern indicates the “transition from time to time” in traditional comics by taking out key frames from a series of temporal data vizualizations. 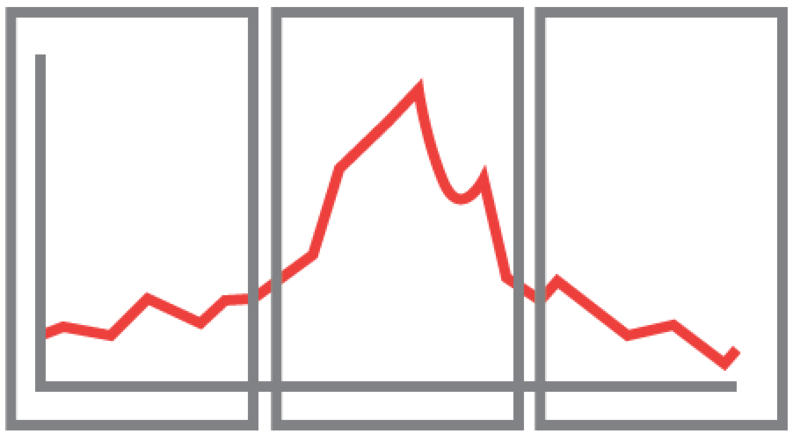 In a temporal grid, each panel shows data at a specific moment in time, e.g. an hour, a day, a month. Panels are laid out in a grid in way that a finer grained time unit (seconds, hours, days) goes horizontally, and and a coarser grained time unit goes vertically (days, weeks, years). A panel is placed at the intersection of both, the finer and coarser grained unit. This pattern is commonly used in information visualization to depict calendars. Temporal consists of panels depicting time spans of different length, e.g. one panel per year and individual panels for each important event in this year. 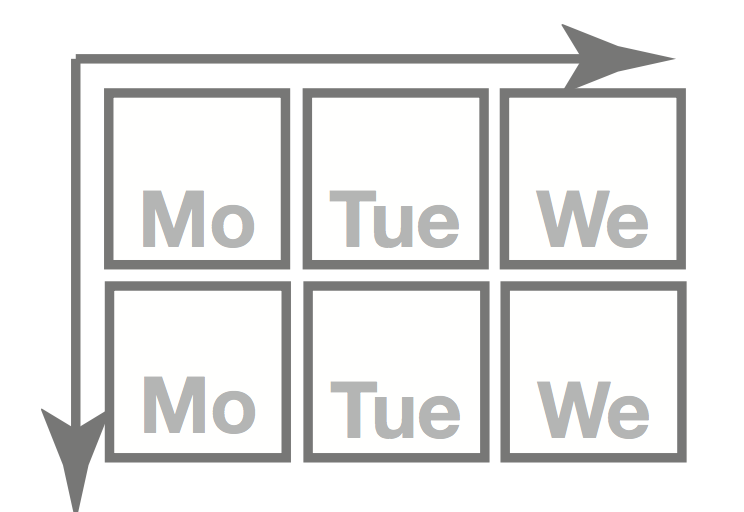 In the temporal nesting panel, this hierarchy is visible in the panel layout: panels for the individual events are nested inside a larger panel showing the changes in the longer time span. A time overlay overlays smaller panel onto a larger one with a large visualization. Each of the smaller panels shows a different temporal state of the data, for the location in the panel. E.g. the large visualization might be a map, or a time-changing network, or a scatterplot. The smaller panels act like time-lenses, showing the data shown in the panels at different timepoints (e.g. one panel shows the underlying data at t1, another at t2). The larger panel provides the context for the smaller panels to act within. The state pattern is depicting a series of panels, connected in a network-fashion. Each panel is depicting the data set at a different time point, hence creating state-network. A state-network can show recurrent states as well as arbitrarily complex states in the data set. While the state-network is showing states within the data, panels provide the base for narration and explanation of each state. 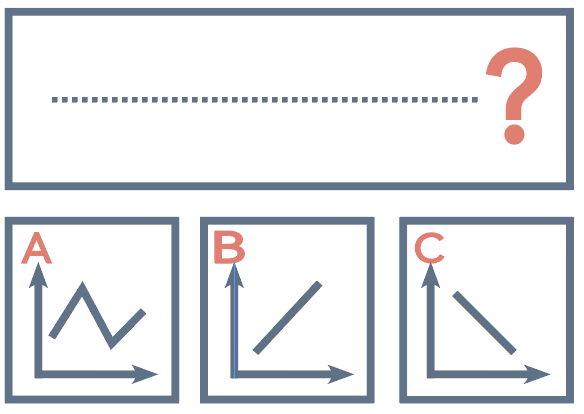 Linearity in the flow can be achieved through specific flow-marks (numbers, specific arrows) or a layout implying some linear reading order. 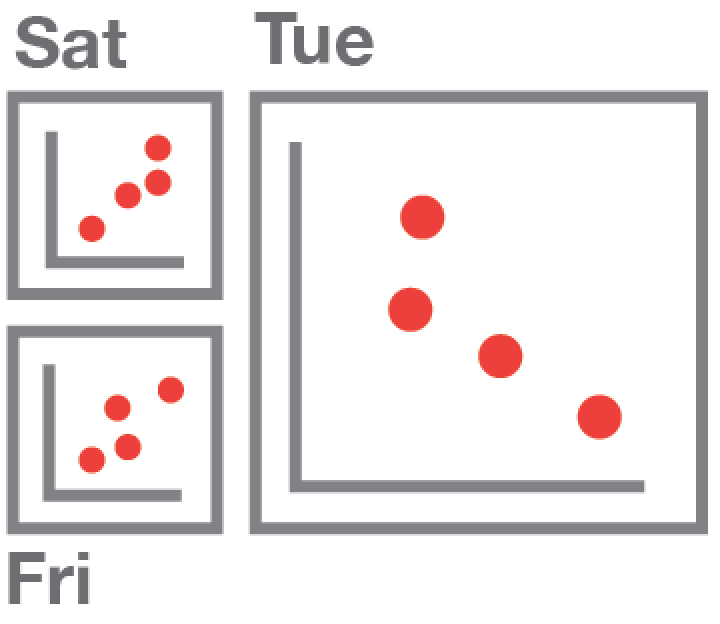 The moment pattern shows a set of panels, each showing the data at a different point in time. However, the tiled layout implies that the panels are not in temporal order. Moreover, any specific order can be applied, e.g. to group similar temporal states. 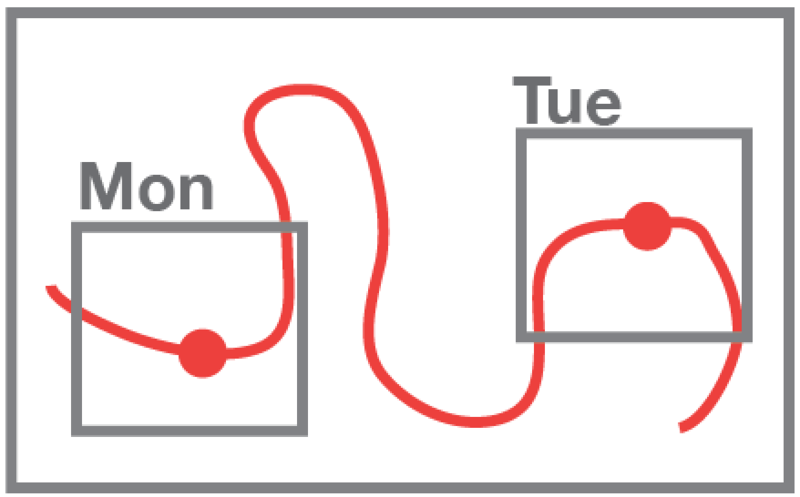 This pattern uses a branching to show alternative tracks in an otherwise linear layout. Each of the tracks can show a different time or facet of the data. Both tracks can run in parallel, implying alternatives or complementary visualization. Before/after panels present an abrupt change from one state to another, without explicit transition between them (e.g. a more detailed time-sequence, or an annotated transition). Before/after panels focus on the overall difference and the respective states at the two time points. Definition: Legend panel explains visual encodings for reference (e.g. legend for colour encoding) before explaining a complex visualisation. Legend panel is necessary when unfamiliar icons or various colours are used to present different meanings. 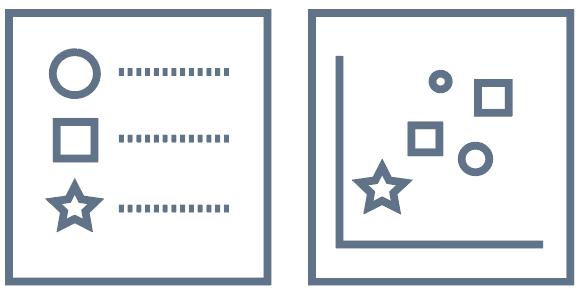 A text legend includes the visual encoding of an element in the same or another panel into the text. A simple example for a text legend is to color words in the text according to the elements the represent in the visualization. Besides color, such visual encodings can include: texture, size, transparency, font-types, etc. Definition: Build-up visualization piecewise by explaining the visual encoding.Visualization build-up could be applied in versatile occasions. 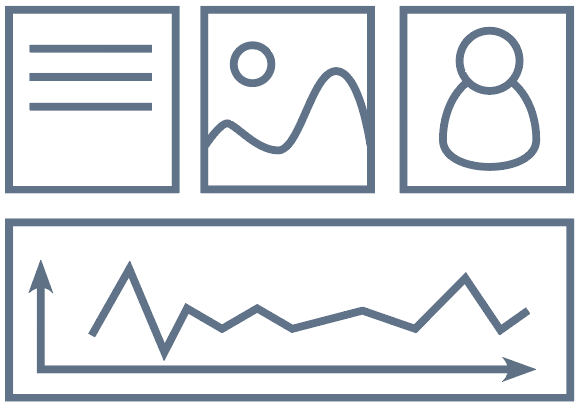 Generally, at the beginning of the comic, it build-up visualization piecewise by guiding the audience to interpret the visual encoding of the visualization, e.g., legend, key dimensions and visual symbols. Definition: Transition highlights the transition between two states of a visualization or narrative pieces to present temporal changes, logical cohesion, a transformation between two data sets or camera movement. An annotated transition does not need to reflect the ‘actual’ change, but rather an illustration to understand what the author is talking about. Definition: The pattern of concretization is designed to reduce the difficulty of understanding abstract content. This pattern is grafted from the data visualization method exampled as isotype to illustrate quantities. Definition: Contrast is associated to flow. 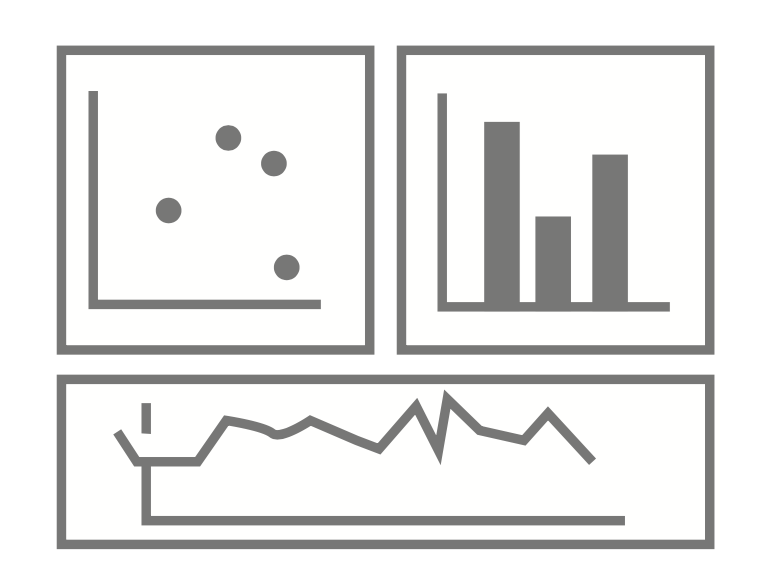 It compares two (or more) datasets, visualizations or data elements through split parallel or overlapping panels. By comparing, it could emphasis on quantity, disparity, growth, or position changes. Often, it is used to emphasize differences, as well as to perform similarly. It also reflects the objectivity of Data Comics. Definition: Letting viewers Make-a-guess before revealing the fact aims to provoke thinking and interaction. It may provide alternatives for explanations or scenarios. The alternatives could be established by separate panels. Definition: Gradual reveal shows the result or conclusion first and then reveal the fact. This pattern is designed for engaging the audience to further read or speculate. Panels in this pattern show different facets of the same data sets of alternatively different data sets. 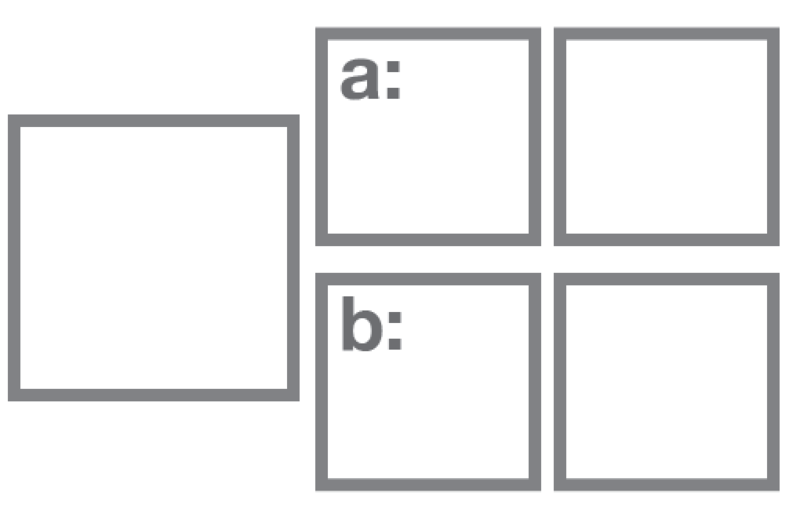 Panels are laid out without specific narrative order using a tiled or grid layout. Again, this pattern is commonly found in infographics. In data comics, it can invite a reader to explore. Multiple facets can also be placed into a single linear layout, like pieces in an exhibition. 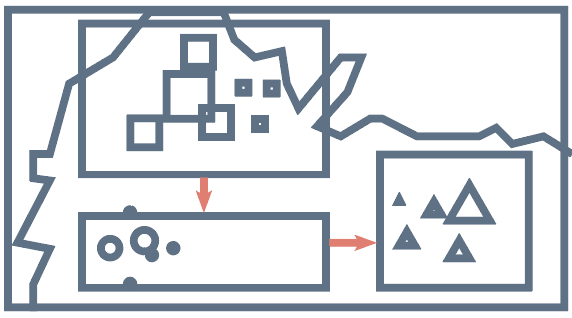 Definition: This pattern starts with a potentially complex and detailed visualization in a single panel (overview panel). Consequent panels (detail panels) will refer to this visualization and explain details important for the story. Examples: If the visualization is complex, it may require a larger panel and potentially can span an entire page (see Monoframe). Definition: This pattern consists of a panel that sums up details explained in earlier panels. For example, it can show the entire data set in a single picture while the previous panels have been showing individual facets of the data. This pattern can be seen as the inverse of Overview & Detail. Furthermore, it can provoke new thoughts and offer viewers with space to explore freely. This pattern particularly works when many details or complex relations being depicted previously. Definition: Continuously zoom into or out of a visualization to disaggregating or aggregating data (e.g. large network). Zoom provides a possibility of showing a transition between overview and detail in limited space. The cut-out pattern relates two panels, the one showing a detail from the other. The cut-out pattern can be used in a cascading way, either in a strict linear layout or in a more open layout, e.g. a network layout. 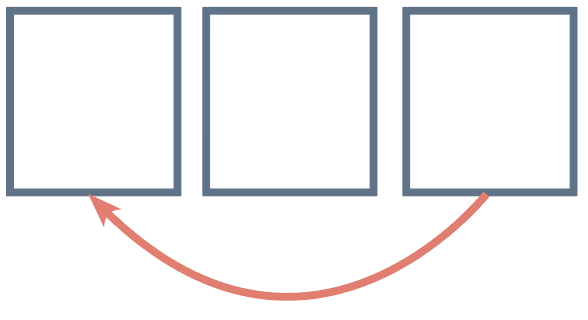 In this pattern, one panel is placed ”on top of” the other panel, acting like an optical lens and magnifying the content in the underlying panel. 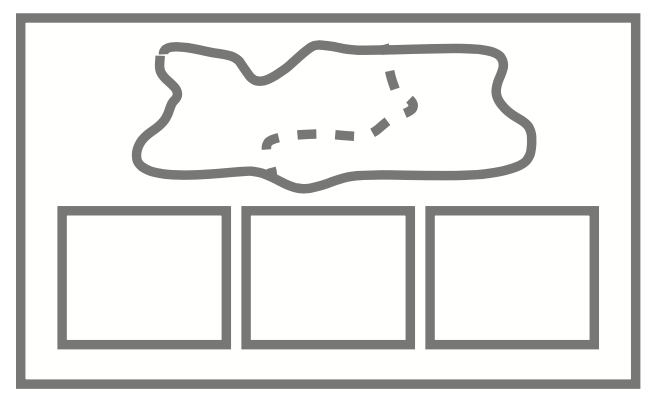 Definition: Walkthrough is similar with exploration, basing on an infographic with multiple data points. Nevertheless, unlike the exploration, walkthrough superimposes a narrative sequence. This pattern is mostly applied on demonstrating space distribution and location change. A polyptych describes a set of multiple panels, that share the view into the same world, like a set of windows. The background of all the panels creates a consistent space. This pattern can be used in order to show explanations onto different parts of a larger visualization, e.g. a time series, a network, a map. 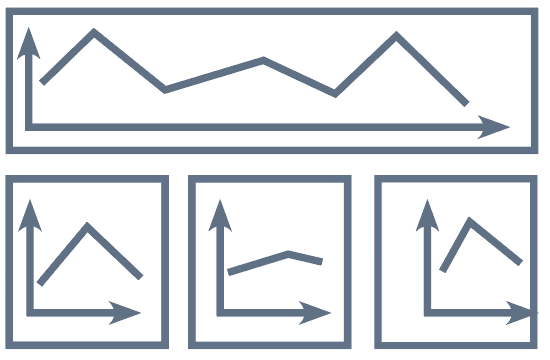 A space-annotation consists of one (or several) panels, related to elements in another panel while providing information/explanation about these elements. 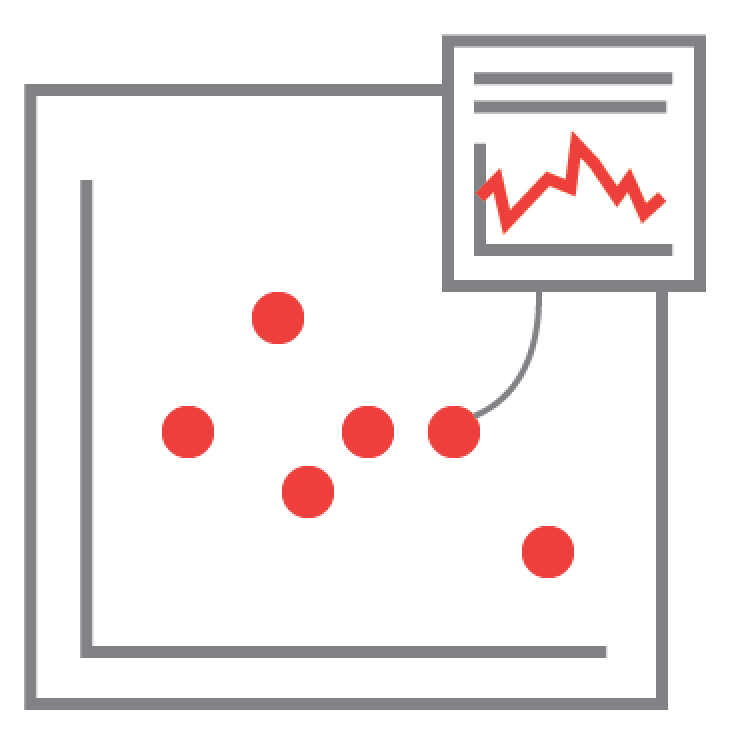 Elements can be points in a scatterplot, lines in a line-chart, nodes in a node-link diagram, etc. Patterns in this category do not fit the rational of the above categories and may be used to motivate further pattern categories. Definition: Percentage panel is a visual pattern to present percentage. here, we see a panel as a bar chart, contents in illustration will be displayed in the panel with a size of the corresponding percentage. Highlighting annotates a piece of information in a single panel, similar to a speech bubble.